David Gilchrist is a chartered accountant and an economic historian. He holds a PhD in economics from the University of Notre Dame Australia and is currently professor of accounting at the University of Western Australia. Over a career spanning 25 years, David has held a number of senior roles in the Not-for-profit, commercial and public sectors. Most recently, he held the role of Assistant Auditor General for Western Australia and, prior to that, he taught accounting and finance at the London School of Economics and Portsmouth University in the UK as well as at Curtin University and Edith Cowan University in Australia. He was Foundation Director of the Curtin Not-for-profit Initiative for five years. David has held the position of Associate Dean of the School of Business at the University of Notre Dame Australia and was adjunct professor of Not-for-profit Leadership at that institution. He is currently a Visiting Professor and Research Chief Investigator at Hebei GEO University, Peoples’ Republic of China. David currently holds a number of industry roles including as chairman of Nulsen Disability Services, a director of BaxterLawley Advisory, a member of Chartered Accountants Australia and New Zealand’s National Not-for-profit Advisory Committee, a member of the Australian Charities and Not-for-profits Commission Advisory Board and of the Australian Accounting Standards Board Academic Advisory Panel. In his work, David has advised a number of Australian governments and authorities relating to human services governance, sustainability, accountability and strategy, most recently related to the NDIS among other things. 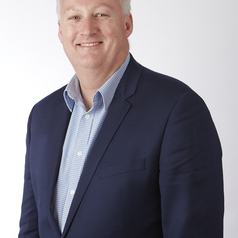 He has published widely as an academic and journalist, and is principal author of a number of key national reports including the seminal report “Australian Charities 2013” for the Commonwealth Government and the Australian National Costing and Pricing Framework (2014) for National Disability Services. He is an author of “The Three Sector Solution” (2016) ANU Press, Imperial Theory, Colonial Pragmatism (2017) Palgrave McMillan and Public Sector Accounting, Accountability and Governance (2018) for Routledge.